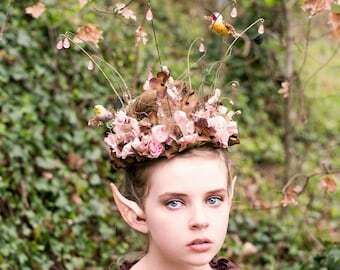 This fairy costume is a one of a kind work of art. 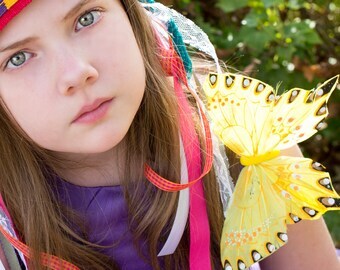 It is a complete fairy costume and includes the fairy wings. 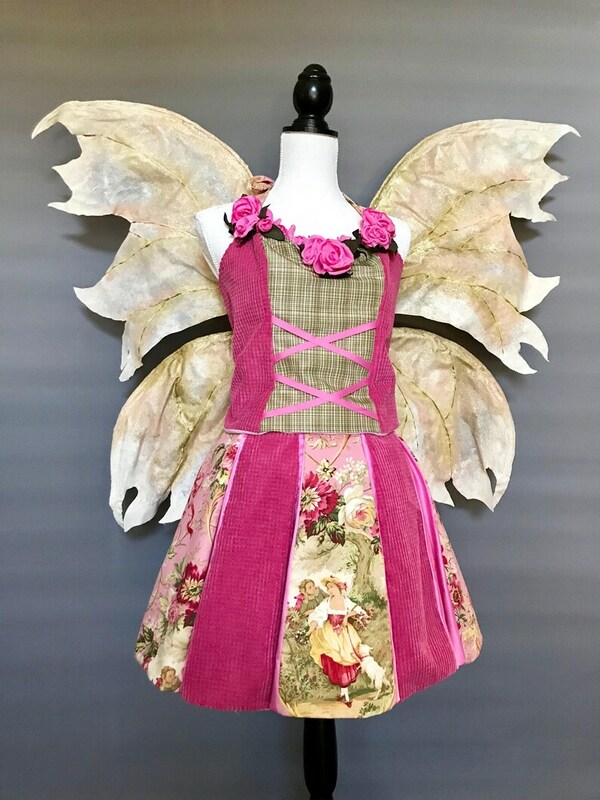 The pink fairy costume was created using vintage fabrics. I was lucky to come upon a stash of vintage fabric remnants and these pink fabrics were among the treasures. I felt that they worked well together and there was enough to create one skirt and top. This is a one of a kind costume and cannot be duplicated. It is roughly a US womens size 8/9. It does have some flexibility in the sizing due to the corset style tie closure in the back of the halter style top and then skirt has 2 sets of snaps to be able to take in the waist about and inch. This costume works wonderfully for teens or adults. 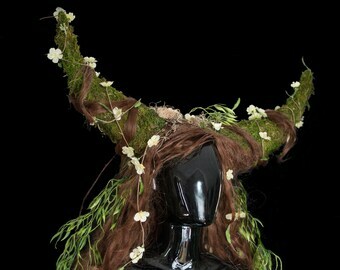 It can be worn as a Halloween costume or festival outfit. 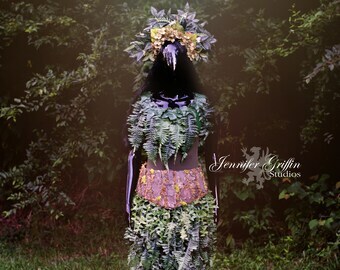 It can also be worn for fairy photography, fairy weddings, fairy cosplay, hand fasting ceremonies and more. 1 set of hand painted, fabric fairy wings that have an ivory color base and metallic gold detailing and gold micro glitter. They are meant to be worn in a corset like the halter top in this costume. Clear elastic can be provided for a small charge. 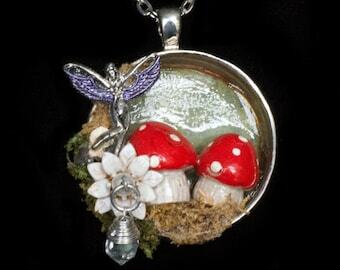 The fairy wings measure 3' wide by 3 1/2' tall. 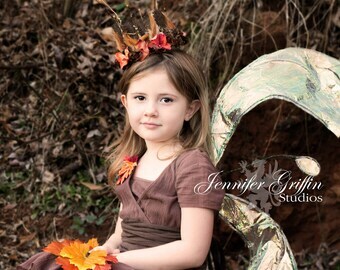 The model pictured in the first image is 14 and is 5' 2". 1 paneled skirt as shown in the images. You are getting the actual costume photographed. 1 ivory color, elastic waist, tulle underskirt. The costume can be worn with or without the petticoat. It just adds more volume to the pink skirt. 1 coordinating halter top with hand stitched pink flowers and beads. Laces in the back and ties at the neck. The skirt and top are lined with pink cotton. The entire costume was made by me and my original design. I even pattered it myself as well. This costume is non-returnable. Please ask any questions before purchasing. It is dry clean only due to the vintage fabric. 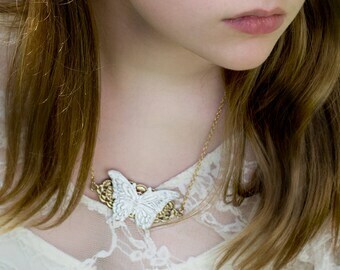 The fairy wings come shipped folded in half but the box is still large and shipping fees will reflect this. Though this is a one of a kind costume, I can create something especially for you. I do all of my own designing and my own sewing. 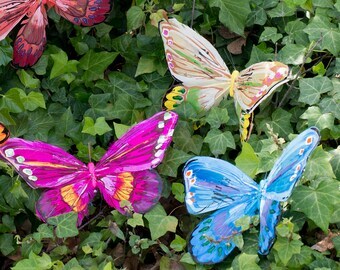 My wings are all made and hand painted by me.